The Granite Gurus: Giveaway #2! 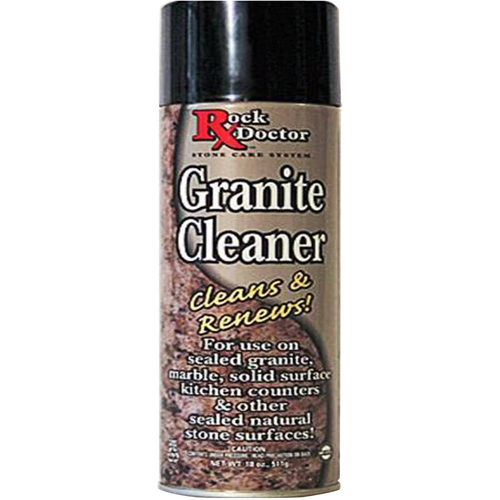 Rock Doctor Granite Cleaner! Giveaway #2! Rock Doctor Granite Cleaner! Now it's time for our second (of five in July!) Giveaway! This week we are giving away a bottle of my favorite granite cleaner, Rock Doctor! You can read my Stone Care & Maintenance Guide here. This Giveaway is open to our Facebook followers only. Leave a comment here if you are a Facebook follower and would like to win! If you aren't a fan yet please "like" us on Facebook and then leave a comment here telling us that you did so. Good luck! I'll announce the winner next Friday along with Giveaway #3! Love your blog! We're getting ready to undertake a major kitchen AND bathroom remodel and your images are so inspiring. This cleaner would be great for our soon-to-be-installed carrara countertops. you better believe i follow you on facebook... now let's get some of that free cleaner! Love, love, love your blog! And yes, I'm a follower on Facebook. I've wanted to try this cleaner, so hopefully I win. I'd love to win! Thanks. Yes, I'm a follower. Love this blog! I'm already a follower on Facebook. I'd love to win this! I've been wanting to try it because you've mentioned it here but I can't find it at my local Lowes. Yes, I am a follower. You have helped me design all the stone in my new home. You bet I'm a follower! Yes, yes I'm a follower. Thanks for the fun giveaways this month. I'm loving it. I am a facebook follower. I would love some cleaner!! Great blog! I liked you on Facebook. Please add me to the drawing for the cleaner - thanks much! I've been a follower forever, I love you guys!